Today I thought it would be fun to share my version of a Pomegranate Champagne Cocktail with you! I think it would be perfect for any celebration, but it is definitely the right color for enjoying on Valentine's Day! This yummy cocktail is also my entry in the Stirrings "Stir It Up" Holiday Blogger Mixology Contest! 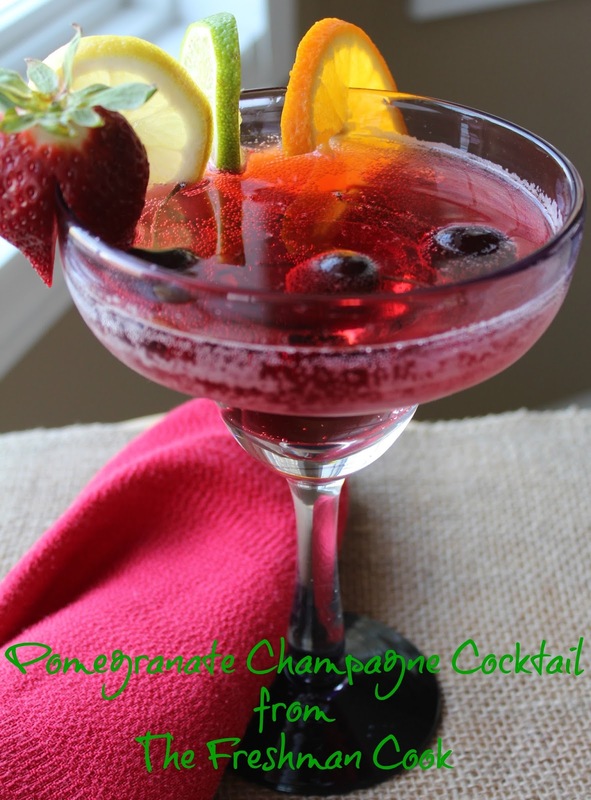 This is a simple concoction of Pomegranate Cocktail Mix and Champagne, and you are going to love it! Slice the orange, lemon, and lime. 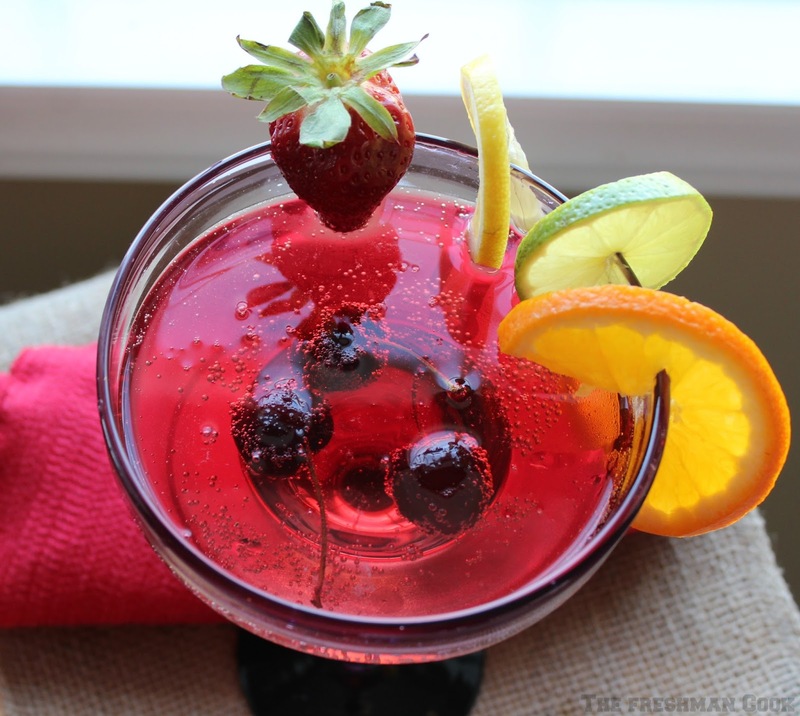 In a large mixing glass pour crushed ice, 3 shots of Pomegranate Mix, and 3 shots of Champagne. Stir. Pour into serving glass, but without the ice. Drop the 3 cherries in to the glass. Garnish the glass with the orange, lime and lemon slice, and strawberry. Enjoy! If you live in the Raleigh area, like I do, you can find Stirrings products in any Food Lion Grocery. To find a retailer that sells Stirrings products near you, check out this store locator. Don't forget to follow Stirrings on: Facebook, Twitter, Pinterest, Instagram, and RSS Feed.